Here I am showing my serious side but also a little playful. Some people call this color black and others peacock because they do have iridescence. I love the shape of the large pearls.They provided the inspiration. So I built this necklace around them. 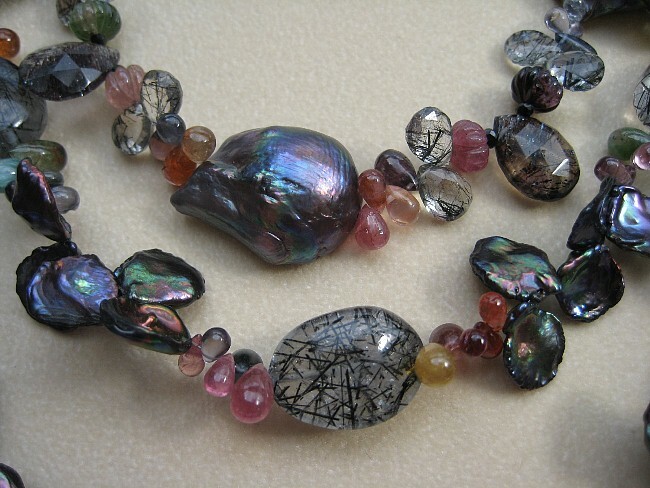 Multi color semi precious beads: Tourmalines, Rutilated Quartz. I used faceted and smooth for different textures. Black Keishi pearls in sets of three to tie it all in. 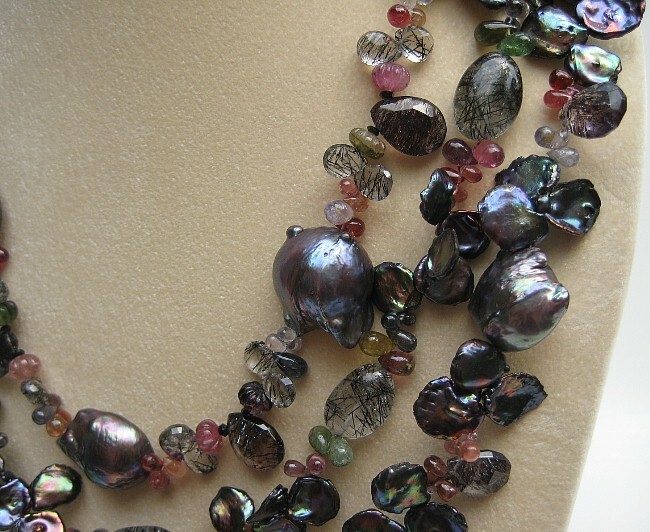 Sometimes when you see a finished necklace it may not look so complicated. It really is. If I am lucky, what I see in my head comes to life. harmonius, magnificient, just love it! 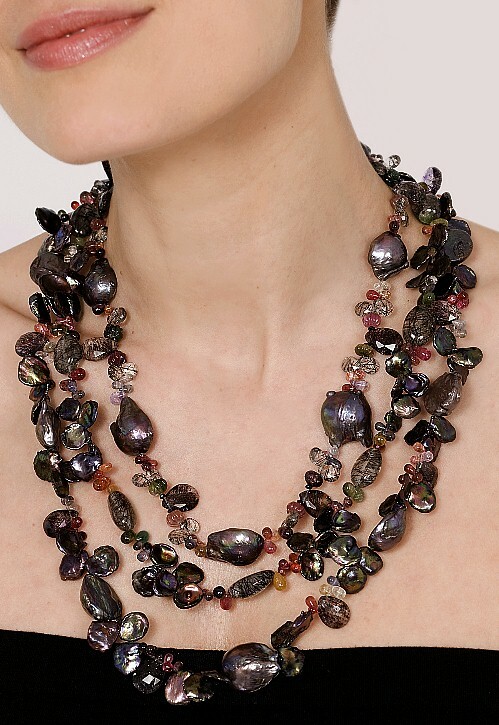 Stunning Necklace! Love the choices of pearls and beads! Really lovely necklace. the contrast is stunning!